It arrived today as we were heading out for a long weekend holiday. I. Am. Thrilled. After months of research I chose this... and lucky I did as I got the last one in stock. It’s brilliant. I am still trying to understand how the shear simplicity of the piece makes such a profound statement. Remarkable. And how I live the manual movement. Breguet7147, Horoticus, umarrajs and 1 others like this. Just received my anniversary edition Klassik Sport a few days ago and I couldn't be more thrilled with this watch. All my watches tend towards to the larger end of things, so I wasn't worried about the size, but the Sport wears perfectly with the curved lugs--even better than I had hoped. I wear a Seiko MM300, Sinn U2, and other Seiko divers a lot, and the Sport wears closer to the wrist than most. I also like a solid, rugged feeling watch that can handle an occasional dunking, and the thicker case of the Sport is perfect for me. Blued hands are gorgeous, and I love the fact that the hand lume is different from the dial. Lends a lot of character to the watch and makes it much more interesting to look at in my opinion. Sorry for the poor iPhone photography, but here are a few shots for this curious about the Sport. Thanks for this post. I am interested in the 43mm Sport. 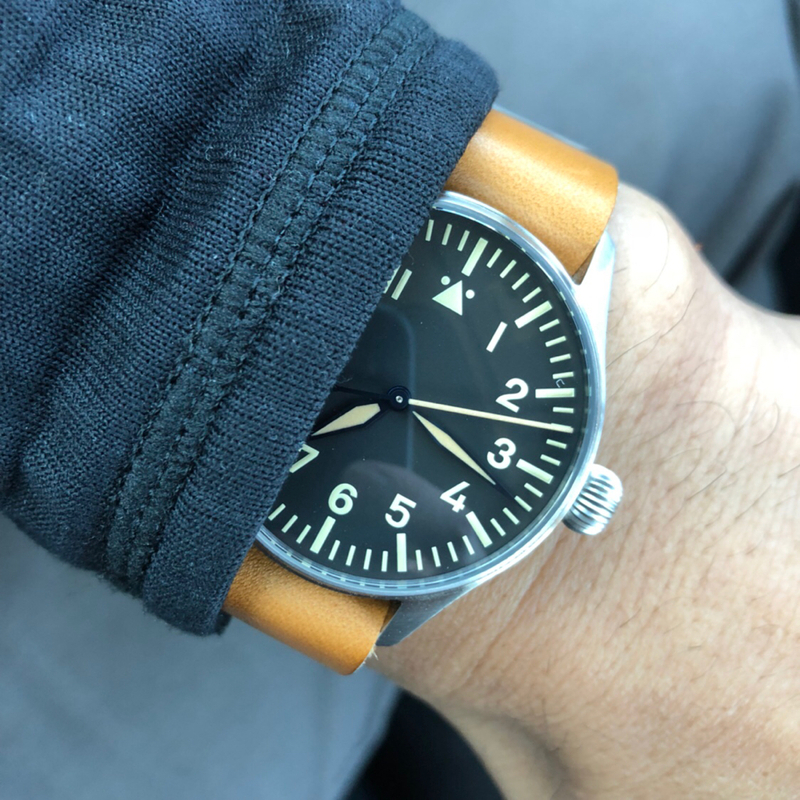 As a happy owner of a Sinn U2 it is interesting to read about your comparison between the two watches. 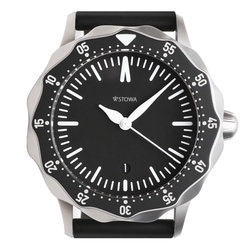 I'd love to see a side-by-side photo of a Stowa 43 and Sinn U2 if you have one? ...love this watch except for the hour hand- something about it just falls short -literally..maybe it just needs to be longer. Just picked up this 90th anniversary from a fellow WUS member and am really happy with it. The quality is amazing. Question though, for a size 40 do you think it is on the small side? Horoticus, jam karet, hidden830726 and 1 others like this. 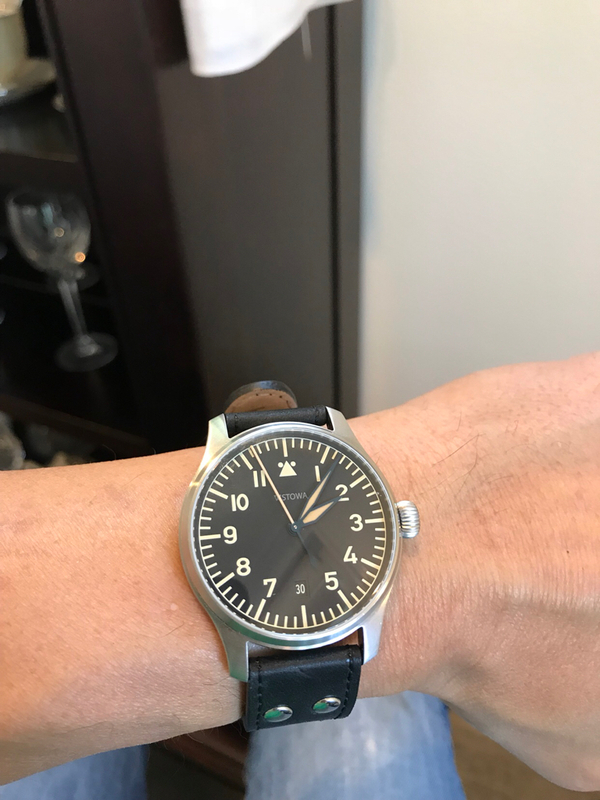 Small-ish for a fully authentic Flieger, large-ish for a contemporary wristwatch. Almost too large for your wrist, looking at how the top lugs overhang. Thanks. The pic is a little deceiving due to the angle. No lug overhang when looking directly down. Congratulations, looks great on your wrist! redhed18, stuffler,mike and Horoticus like this.